Admitting you have an eating, exercise, or body image problem that requires treatment is a difficult step to take and getting the right help is essential! There are a variety of treatment options available: individual therapy, group therapy, nutritional support, psychiatric care, inpatient, outpatient, residential, etc. Please know that there are resources available to assist you and your loved ones! The National Association for Anorexia Nervosa and Associated Eating Disorders may be a good place to start when looking for eating disorder support. 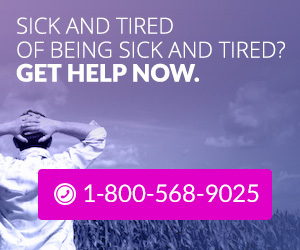 The ANAD Hotline telephone number is 847-831-3438. They help victims and their families with programs that range from education and prevention, advocacy for insurance discrimination and legislation, to support groups for patients and their families.